ArcticNet is a Networks of Centres of Excellence of Canada that brings together scientists and managers in the natural, human health and social sciences with their partners from Inuit organizations, northern communities, federal and provincial agencies and the private sector to study the impacts of climate change and modernization in the coastal Canadian Arctic. Since 2004, ArcticNet has been conducting research in Canada’s coastal Arctic with the goal of translating our growing understanding of the changing environment into regional impact assessments, national policies and adaptation strategies. Over 150 researchers and 1000 graduate students, postdoctoral fellows, research associates, technicians and other specialists from 34 Canadian universities and numerous federal, provincial and regional departments and agencies collaborate on 41 ArcticNet research projects with over 150 partner organizations from 14 countries. 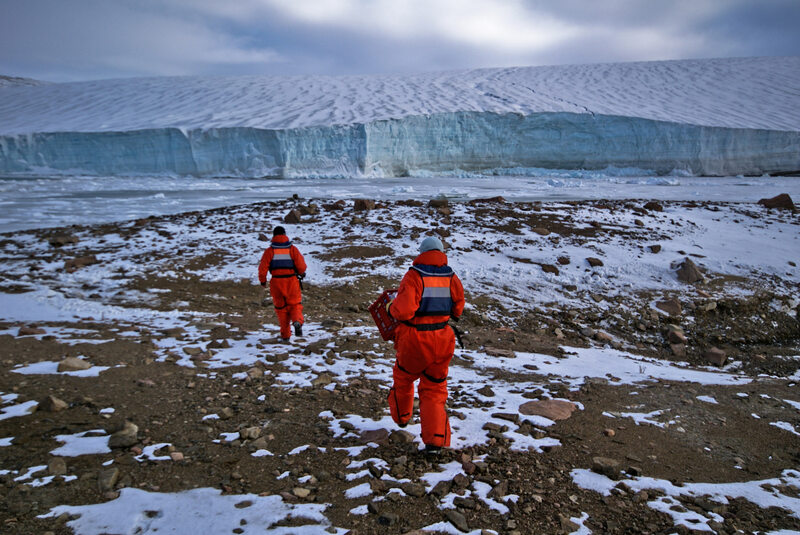 ArcticNet’s 41 research projects focus on five main themes: marine systems; terrestrial systems; Inuit health, education and adaptation; northern policy and development and knowledge transfer.